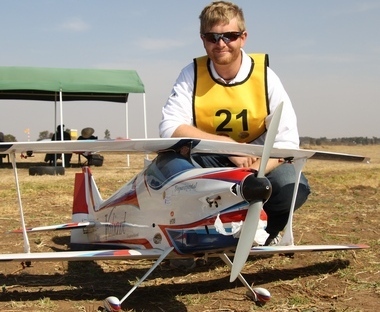 The FAI Class F3A Aerobatic World Championships for Model Aircraft is held every second year and was last hosted by South Africa in 1979. 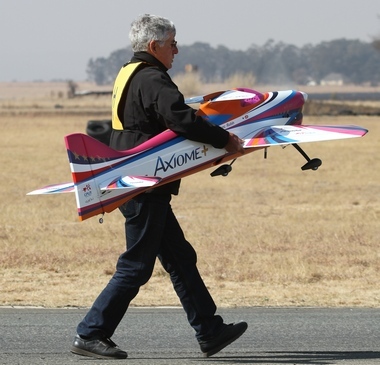 Organised by the Model Aerobatic Association of South Africa 29 teams from countries ranging from Argentina to the USA entered. 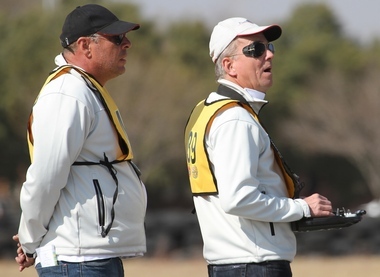 The approximately 80 contestants spend seven days at the Midvaal Raceway in fierce competition in rather challenging conditions. 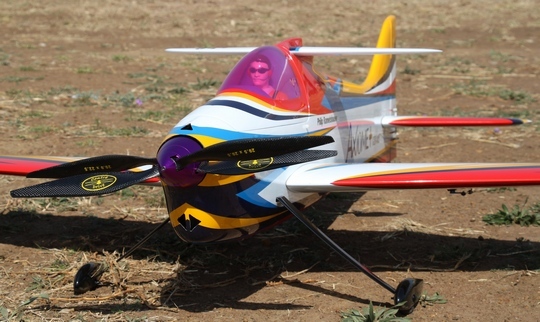 The model aircraft used in F3A competitions must conform to the specifications of the FAI and each model may only be used by the competitor. 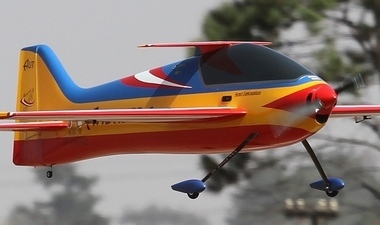 The fuselage length may not exceed 2 meters and the weight of the aircraft may not be more than 5Kg. Power plants are strictly monitored and either electric or IC (internal combustion) engines are allowed. 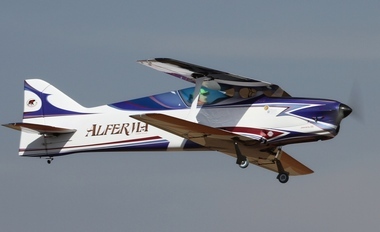 Designs vary widely with mono and bi-planes some with contra rotating propellers all conforming to the specifications. 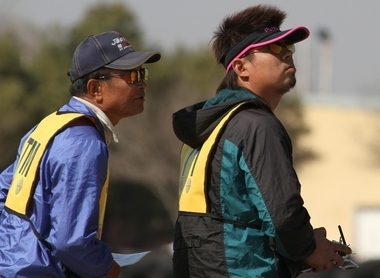 The competition is held on two separate flight lines and judged by ten judges who score the prescribed sequence. 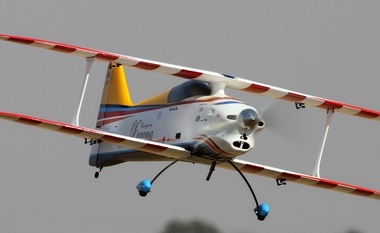 Each manoeuvre is assigned a difficulty factor, depending on the complexity and a combination of various aerobatic elements. Simple manoeuvers have a factor of one whilst the most complex manoeuvers have a factor of six. 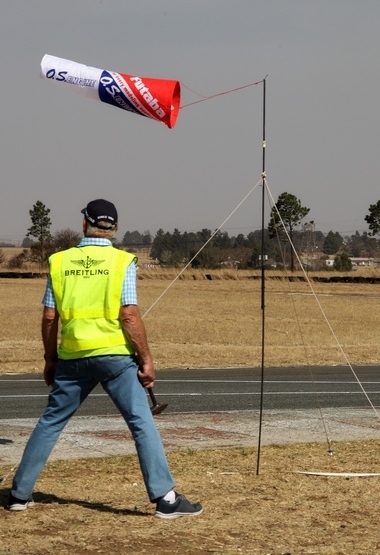 The August's winds so typical of the Highveld must have had an influence though most of the competitors handle it well and flew amazing sequences in rather difficult conditions. On Friday the wind at stages gusted at 7.2 meters per second. 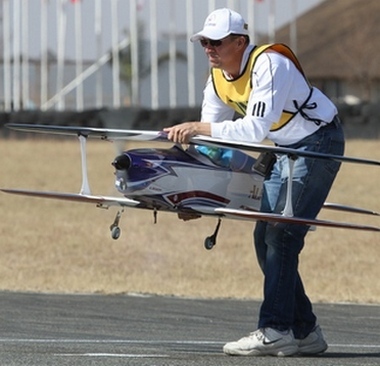 The limit set for competitive flying is 12 meters per second. 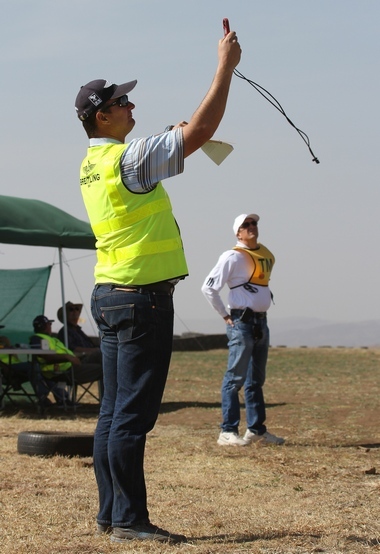 Prior to each flight the aircraft are scrutinised to ensure that it confirm to regulations. 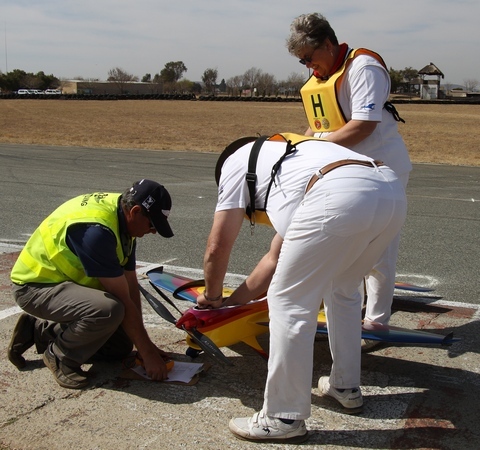 Teams consists of a team manager, the pilot and in most cases a handler who assist in the placing of the aircraft prior to flight and recovering it afterwards leaving the pilot free for the all-important task of flying. 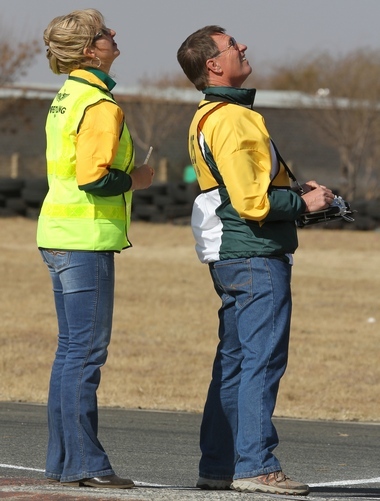 Team Managers join the pilot on the flight line and act as advisors. 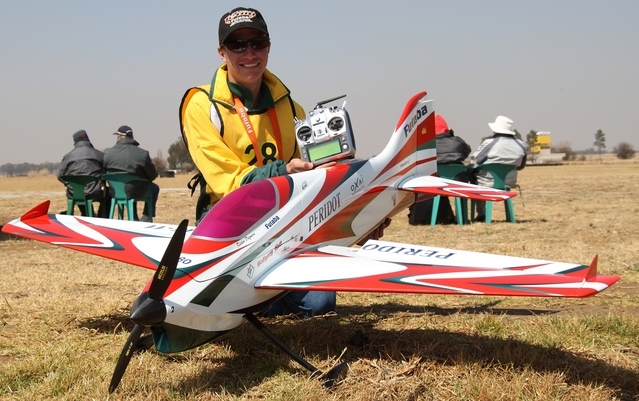 Team South Africa's Pierre Marais flew his Inspect E.
Whilst team mate Roston Dugmore, a junior competitor flew his Peridot. As expected at a World Championships the competition was fierce but after the completion of each round all those assembled including members of other teams applauded. 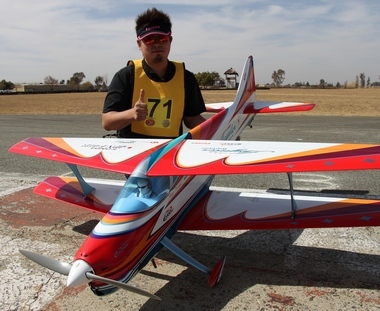 The semi-final results showed just how close it was with Paysant Le Roux of France just ahead of Tetsuo Onda of Japan. The finals on Saturday were hotly contested. On stake was not only the title of World Champion but also the stunning King of the Belgians Cup. 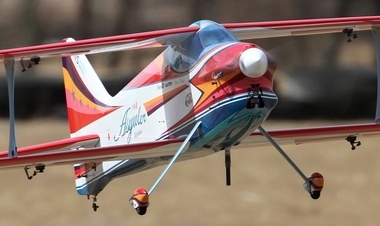 This impressive classic trophy was donated to the Royal Belgian Aero Club in 1953 on the occasion of the first International Radio Control contest held at the Evere Aerodrome in Brussels, Belgium. 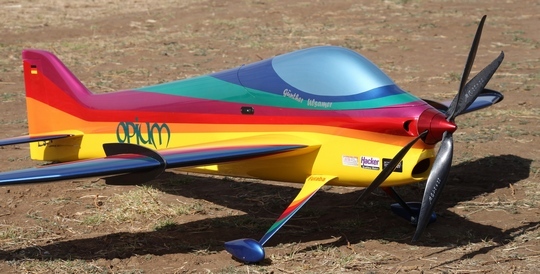 Christophe Paysant le Roux of France was crowned world champion with Tetsuo Onda of Japan in second place. Team USA took the honours as best team followed by Japan with in Austria in third place. 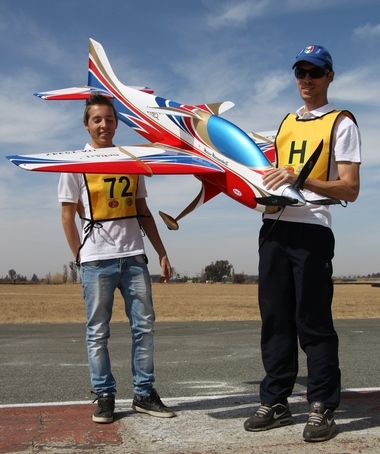 The winning junior was South Africa's own Roston Dugmore who was crowned the new Junior World Champion. 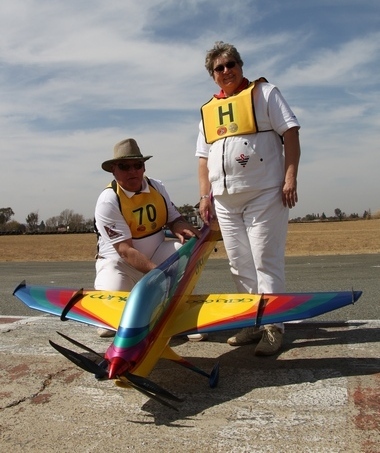 Team South Africa finished in 8th place. 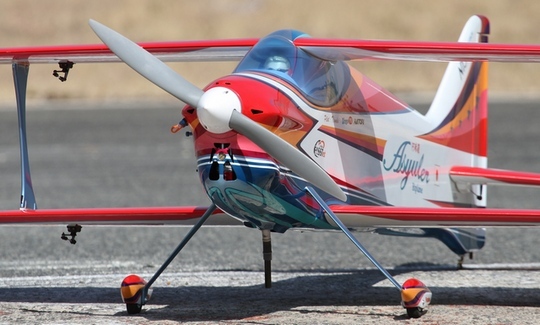 Our congratulations to all the finalists as well as to the Model Aerobatics Association of South Africa on organising a world class event.